How's it going with everyone?? Things are good here, the weather is starting to get better. But I hear it's only supposed to be in the 50's this weekend so we shall see how it goes. Soccer in pants again I guess if that's as warm as it's going to be. 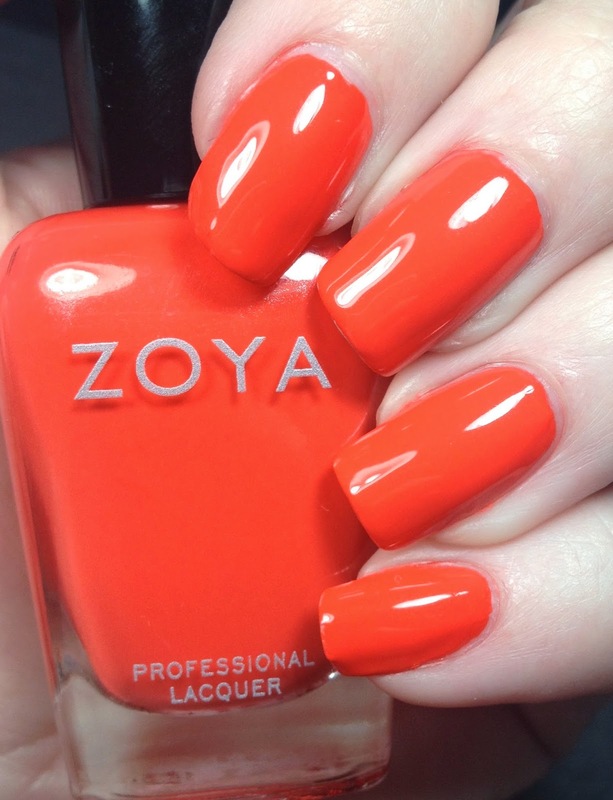 So, today I have the new Zoya Tickled collection. 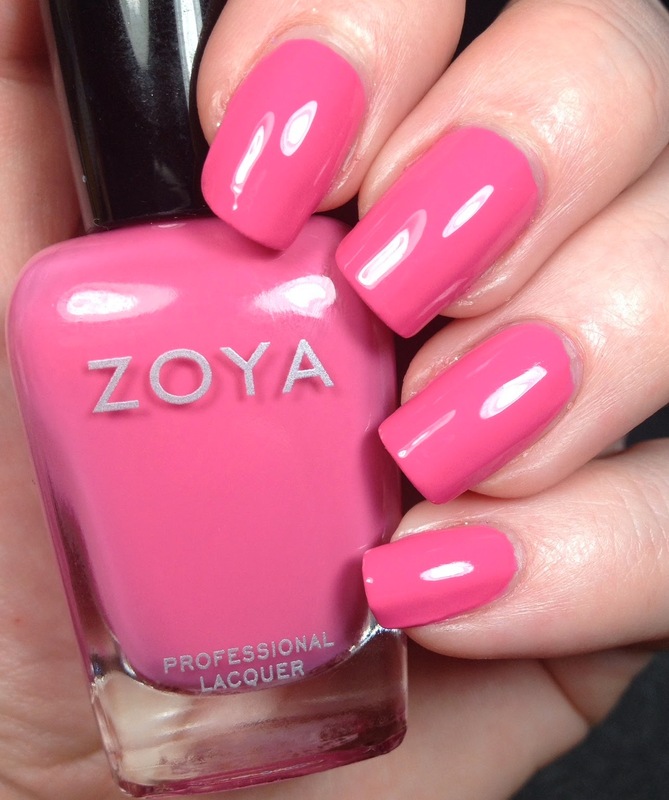 This was my first time ever getting polishes from Zoya and I am SUPER excited about it. I am going to split this post in two and do the Bubbly collection in the next post. 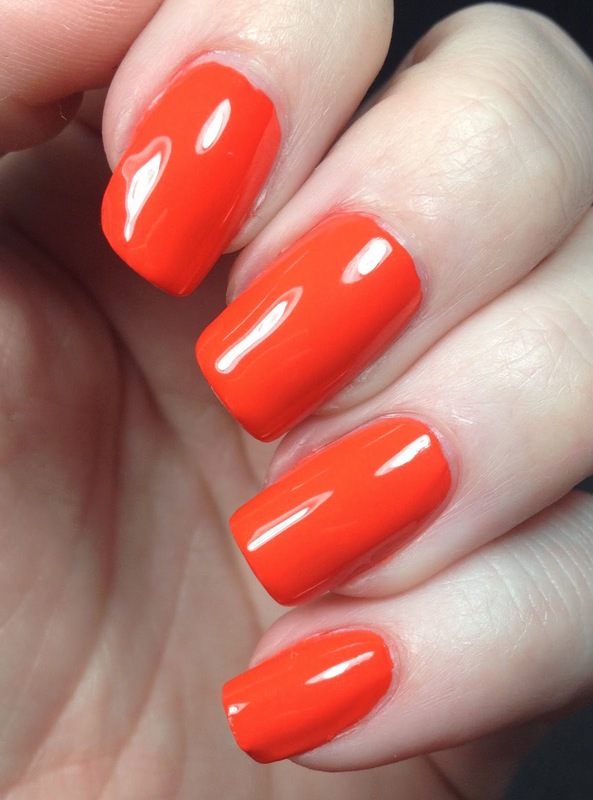 I also have some great other polishes coming up as well, so stay tuned for those. Let's dig right in as there are six of them in total. This post will be very pic heavy and I hope you enjoy them. I was so pleased with how they looked. 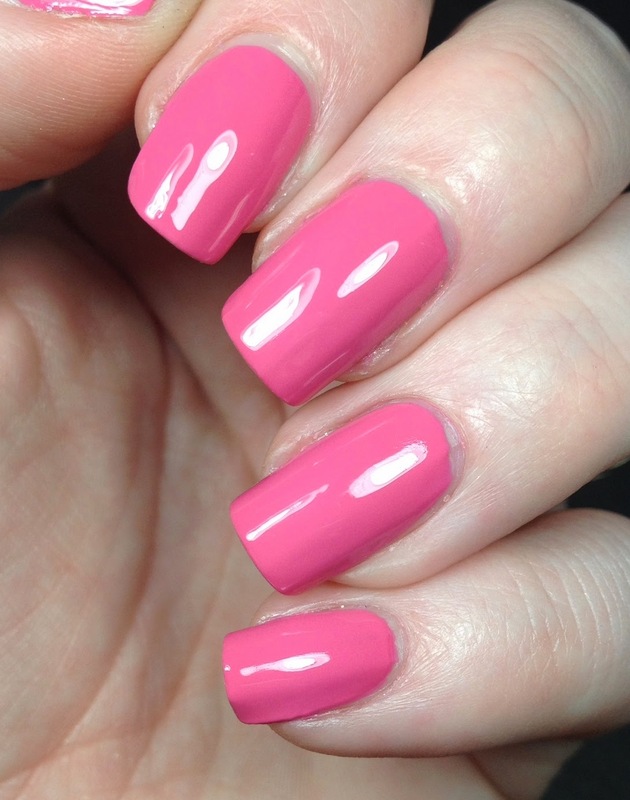 I was surprised there were three pink toned polishes in this collection, but you can tell them apart in the pictures. Since there are so many pictures, I will just say that for all of these I used a base coat of Barielle Hydrating Ridge Filler and the topcoat is Glisten and Glow HK Girl. 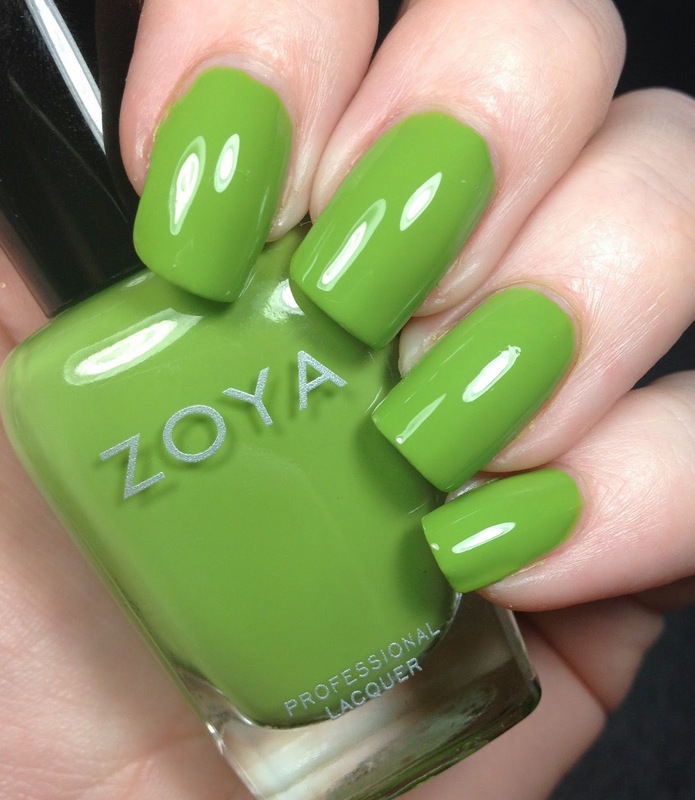 All color descriptions used are those provided by Zoya. First up is Rooney. They say this is a mid range magenta pink. I would say it's more of a dark pink and not really magenta. To me magenta is more red and this isn't. 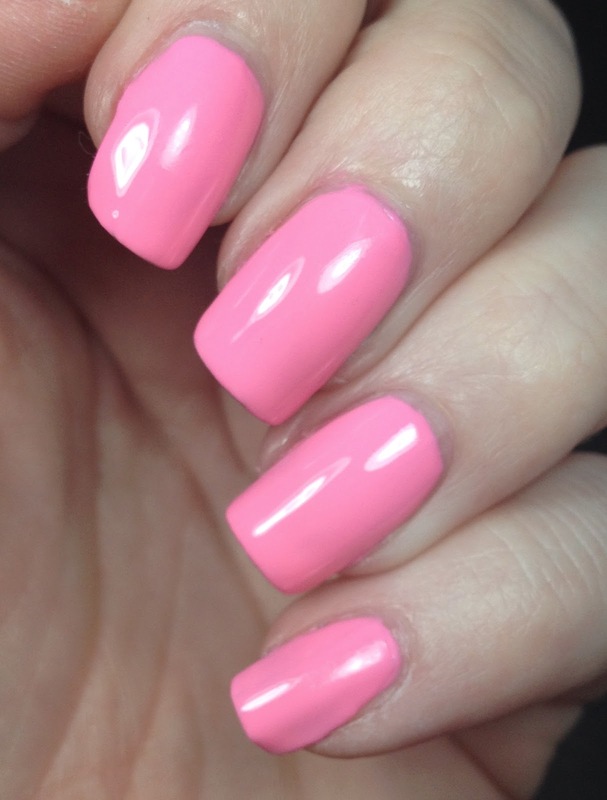 Think super dark barbie pink. 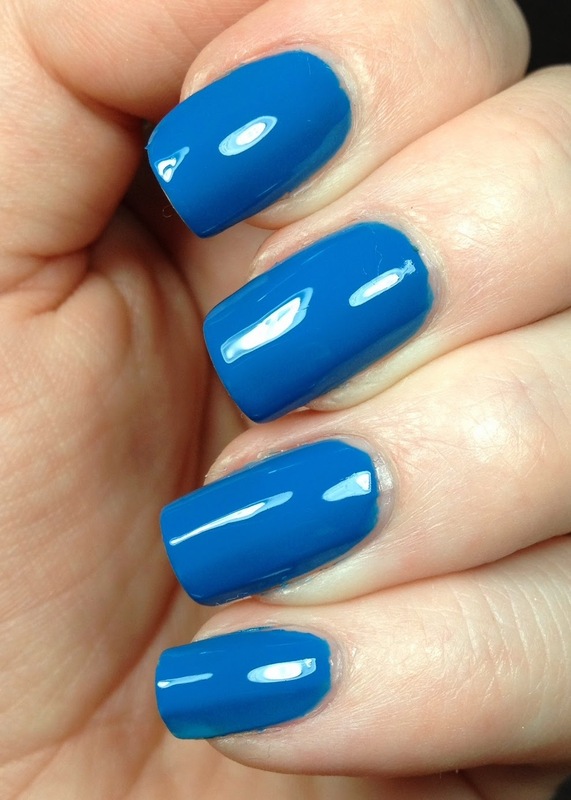 I only needed two coats for this and there were no complaints about this formula. This is Ling. 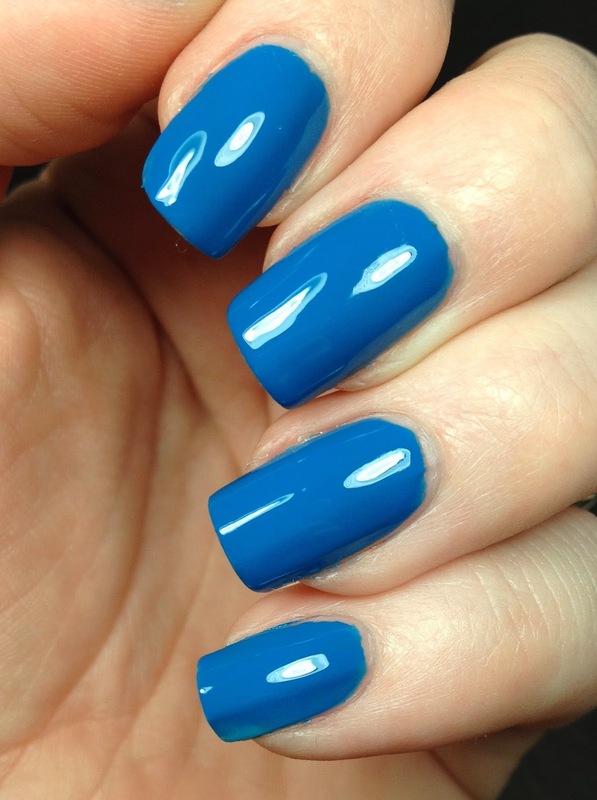 Zoya says this is a vibrant royal blue cream. Pretty spot on description. I would compare this to Essie Butler Please in color. This was two perfect coats! This is Kitridge, which I called Kirtridge on Instagram. Why did I call it that? Because my bottle says that. 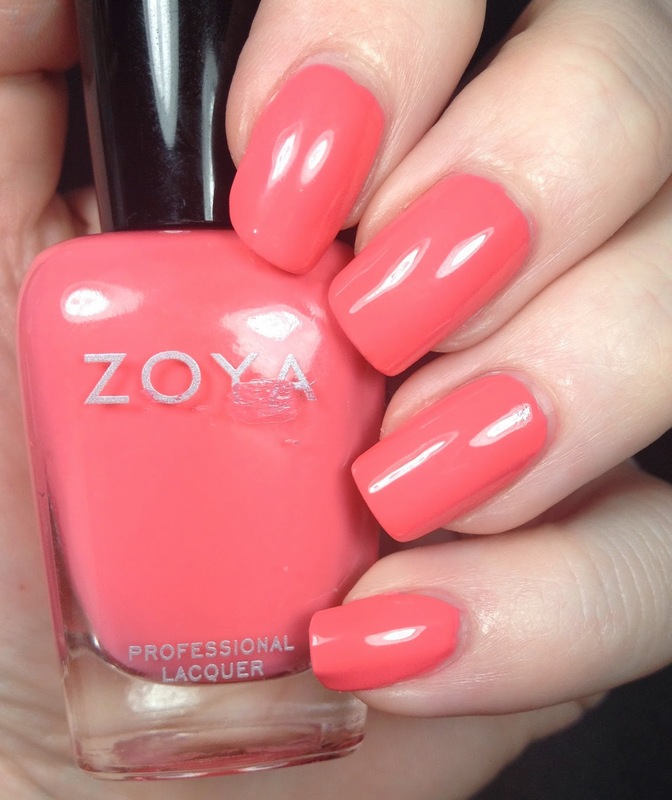 After looking at the Zoya site it is actually called Kitridge. 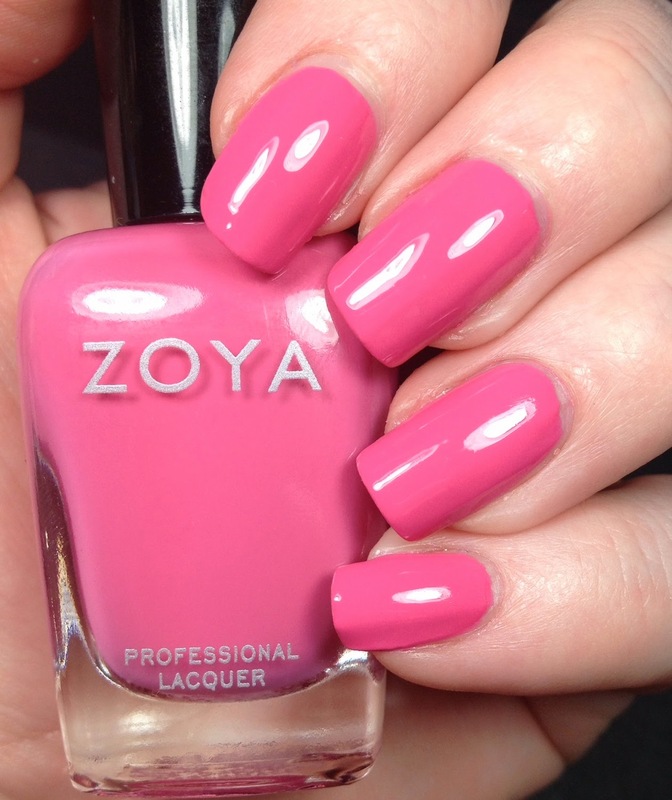 Zoya calls this a classic bubblegum pink cream. Perfect description. It's much much brighter in person. 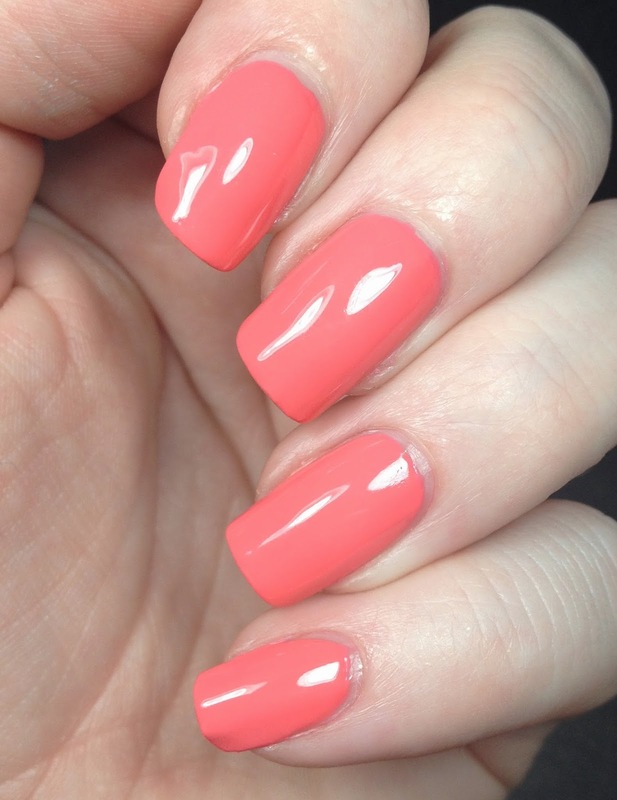 A lovely girly color. 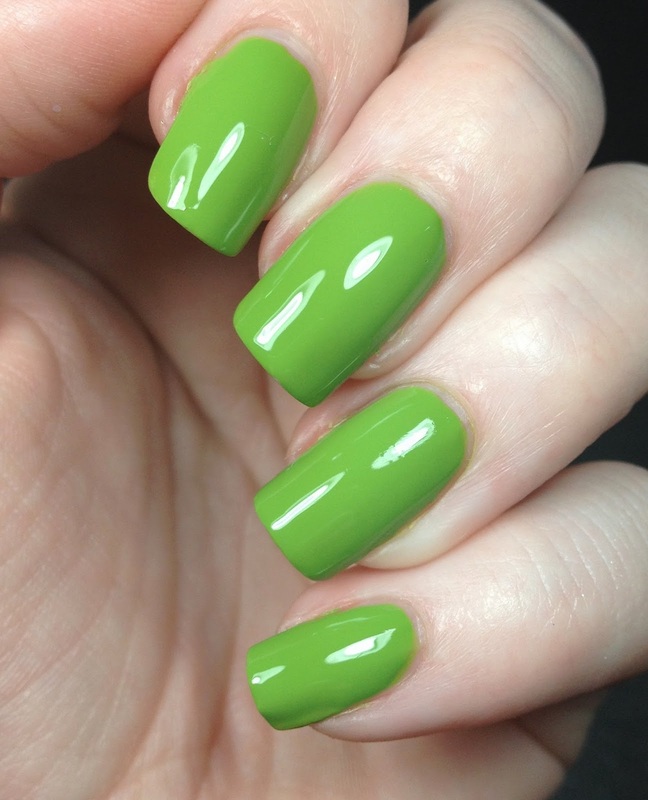 The formula on this wasn't the best and I needed three coats in order to get what you see in the pictures below. I didn't expect to love this one as much, but I totally did. This is Rocha. They call this a folly red cream. I have no clue what that even means. I will say that it's bright and very red orange. Heavy on the orange. Two coats was all I needed and the formula was great. This is Wendy. 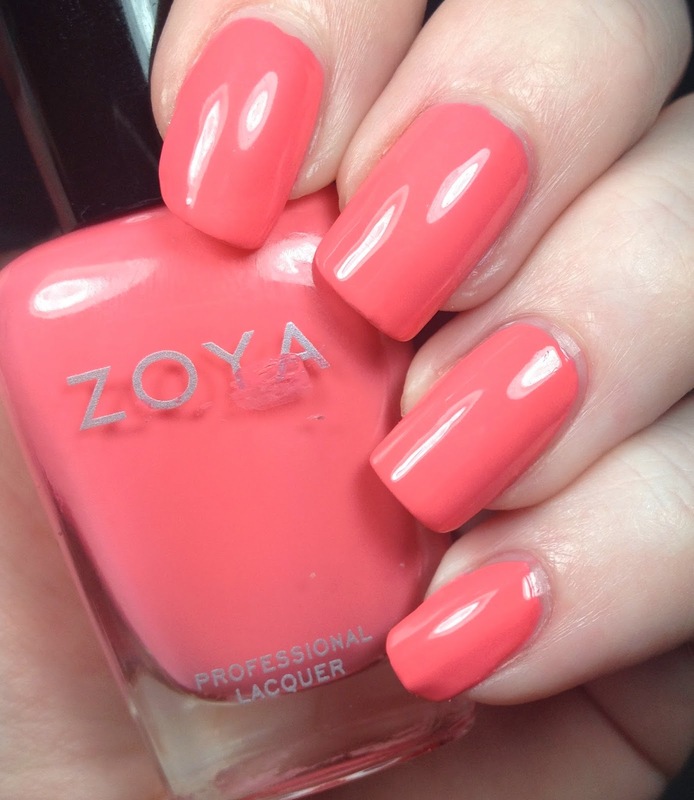 Zoya called this juicy summer melon colored. 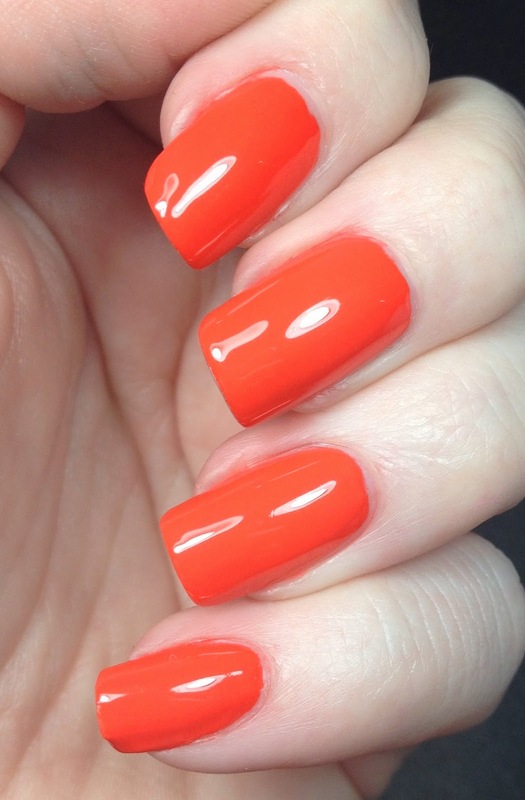 Think of this as a bright coral colored polish. I only needed two coats for this one as well. Last up is Tilda, another one that I wasn't expecting to like as much as I did. This was so beautiful. Zoya calls this a warm mantis green cream. Aside from the fact that I DETEST praying mantises (is it mantesi?) that's a great description. It's the color one of those would be. Only two coats for this one as well. So there is the Tickled collection, did you buy any of them? Are you going to? I think this was a nice bright collection perfect for spring and summer. As usual with Zoyas, at least all the ones I own already, the formula was great. I only had an issue with the one (Kitridge) and an extra coat was all I needed to cover the flaws. Stay tuned for the Bubbly side of this collection! I like this collection a lot! There's some pretty cremes in here.